I purchased this razor recently and thought that I'd do a review on it based upon my initial experience with it over the last few days. The razor comes in the same packaging as the Bakelite razor, the most obvious difference being that this razor is made out of 7075 Aluminium and is available in two anodised finishes - black and bronze. The razor designed is a copy of an earlier Walbusch slant razor which, I believe, dates from the 1930's. The main difference with many other slants is that this design torques the blade (as opposed to twisting it) and uses a humpback design to enable the blade to be placed diagonally on your face. This took some getting used to and wasn't as intuitive a process as I first thought it would be. The key is to lead with the hump first as the razor gives far better shaves this way. 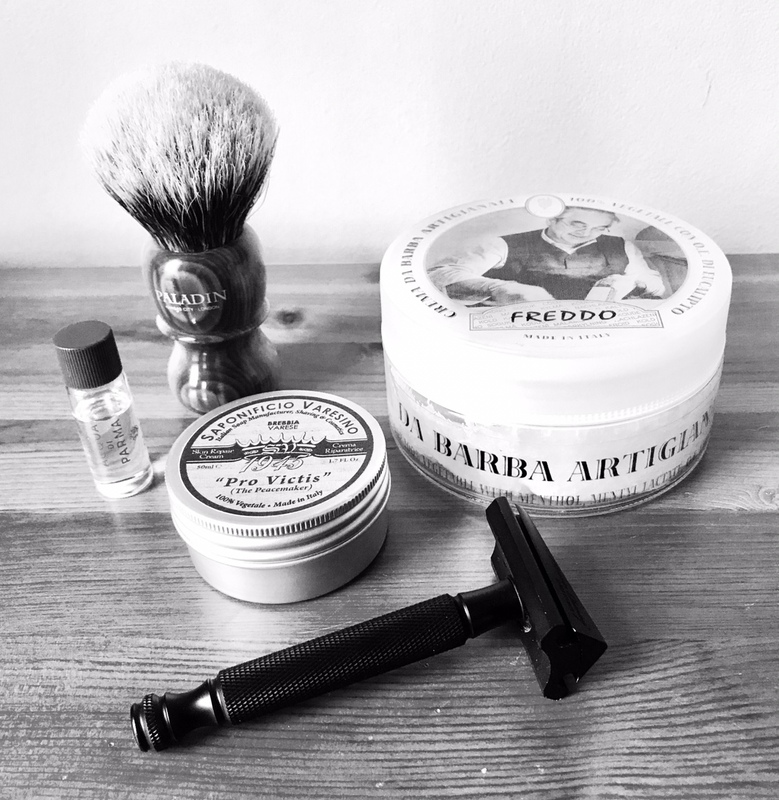 I've tried the razor with four different blade combinations - smooth blades (Sputnik and Astra) and sharp blades (Feather and Gillette 7 O'Clock Yellow) and on each occasion the razor has felt somewhat rougher than I originally had hoped it would be. I would place it as being below an ATT S1, Ikon B1 Stainless and Merkur slant in terms of smoothness and more efficient than a Merkur slant (but not as efficient as an Ikon B1). I was expecting to notice a marked difference in smoothness between the blades I used (as usually occurs with most DE's in my collection), however, this did not really prove to be case. The smoothness didn't change that noticeably, although I could feel a minor difference between a Feather and 7 O'Clock Yellow (with the Gillette blade being the harshest of the four blades I used). It would appear that the difference in blade reveal is caused by the top cap not having been machined correctly as one side of it is noticeably shorter than the other (as can be seen in the picture above). The more I've used this razor the more I've come to like it. I suspect that some of the roughness is actually caused by the anodised aluminium finish. It feels very similar to the oxidised finish on a Blackbird in use (with the same vacuum-type effect when shaving) and I'm unsure as to whether this will improve over time or not. The area where this razor has most impressed me though, is head-shaving. It performs this task efficiently and well and it's great to be able to add another head shaving slant into my collection. In conclusion, I would definitely recommend this razor as it shaves well and is, in my opinion, worthy of the relatively high price tag given the quality of materials used. Thankfully, the blade reveal issue caused by the uneven machining of the top cap does not affect the shave to any great degree (and is, in this sense, purely cosmetic) otherwise I suspect that my conclusion would have been somewhat different. (10-13-2017, 04:10 PM)ajc347 Wrote: I purchased this razor recently and thought that I'd do a review on it based upon my initial experience with it over the last few days. Great review! Thanks for your thoughts. It is very interesting that this razor has just kind of stumbled in to the market. Maybe it is because all of the new offerings from seemingly everywhere. There are new stainless, new slants, new aluminum, single edge. double edge, adjustables and from manufacturers like Blackland, Wolfman, Fine, Timeless, and so on. I have heard nothing about this razor until reading the above review and I collect slants. It Interested me enough to buy one from Phoenix and shaved with it today. Very nice. I don't agree with the above review in any of the negative things he said about the Ecliptic. While his review was generally positive AJC 347 mentioned the cap might have been machined incorrectly and some of the shaves were on the harsh side. I have not experienced this at all. Very reasonably priced nicely made aluminum razor based on once again a 1930's design....employed by Apollo, Merkur, Walbusch, and Ile de France. The French razor had a proprietary blade while the others used normal double edge. The Walbusch came in a fixed head and adjustable model. Like all of the classic slants mentioned here the Ecliptic is just a great shave. Used an Astra blade (2) and a normal 2 pass with touch ups. I have shaved with a lot of slants so kind of know how to do it (not bragging) as there is a technique to it. You just shave normally and don't try and help it or hold the razor in any position other than directly up and down or sideways. The razor felt good on my skin and efficiently removed lather and whiskers. The 1930s was a period of experimentation with all kinds of razors and slants in particular. Most of the new slants in the last couple of years (exception being the offerings from ATT) have been reintroduction's of 1930s designs. The Ecliptic is the first to bring forward the large fixed slant design. This head at first glance is cumbersome because of its size. But its performance is outstanding. No problem getting to the nose-upper lip area and just glides everywhere else. I hope the razor gets some recognition. I may have just missed it and there has been conversation I was not aware off. Happy I have one and look forward to putting it into the rotation. Folks, Harvey is not kidding....I have seen the collection first hand and the house has kind of a list to the right. Count me as on the fence. The unevenness of the blade exposure gives me a bit of pause. Was the original Walbusch like that or is it something demonstrated only in the Phoenix version? Or I guess alternatively is this specimen unique in that regard? Owning this razor in a variety of versions, the uneven blade-exposure i not something I recognize. I written reviews on other forums of this razor and basically have one thing to say: get one. Doesn't matter if you get the aluminim or bakelite version, they are both outstanding. IMHO, and I too have a lot of slants and have shaved with a lot of slants as well, this is one of the best offerings out there. Truly marvellous razor. I'm with efsk. Great razor. And I went back and looked at the blade alignment and though to lazy to take a picture, everything lined up perfectly. So don't know why the original reviewer had that problem. Also an interesting juxtaposition of the plastic razors. They do look the same. 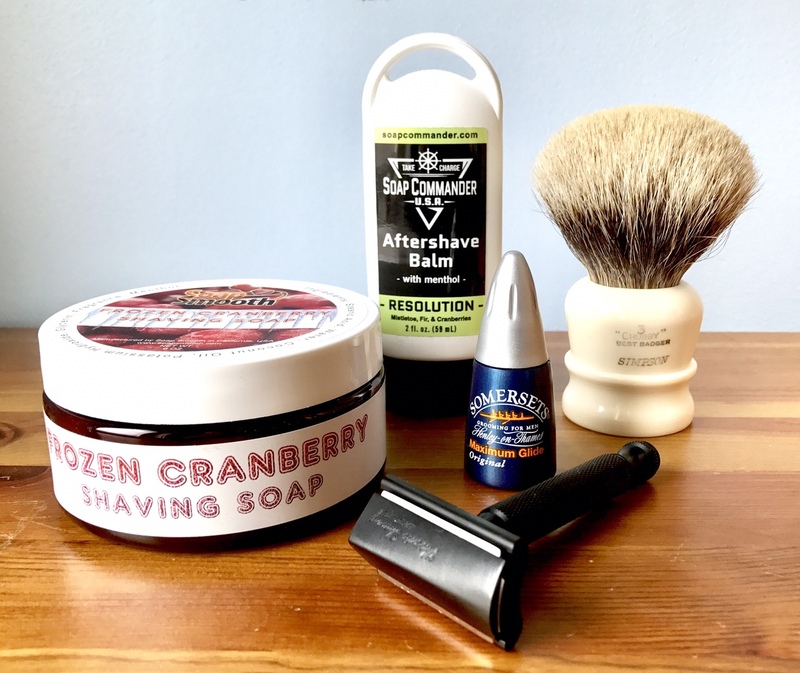 I've been using this razor daily over the last few days since I wrote my original review, and have had some more great shaves with this razor. I've enjoyed using it so much that I've ordered another one in the bronze finish. Hopefully this one won't have any cosmetic QC issues. I'm really starting to get to grips with this razor and am starting to appreciate is effortless efficiency. 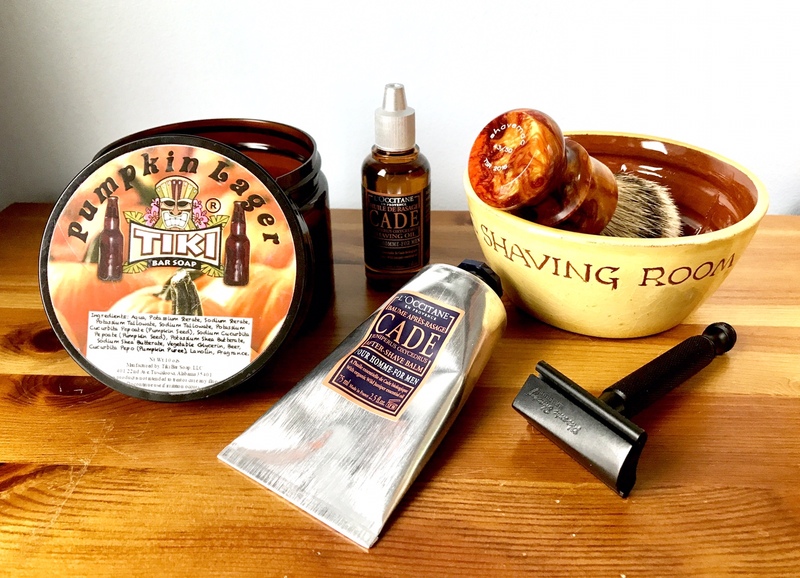 This was also the smoothest shave I've had with it so far. The key was to only shave WTG and ATG (avoiding any XTG strokes) - this seems to be the best way to use the razor. I've also noticed that the cosmetic top cap issue has actually turned out to be a good thing as it enables me to work out which side of the razor I need to use on the different parts of my face with a quick glance rather than having to line up the hump each time. (10-20-2017, 06:53 AM)zeppelinkarte Wrote: I'm with efsk. Great razor. And I went back and looked at the blade alignment and though to lazy to take a picture, everything lined up perfectly. So don't know why the original reviewer had that problem. Also an interesting juxtaposition of the plastic razors. They do look the same. They're identical in all respects except color, and centerscrew: the black one is M4, the PAA M5. Well, and age of course. The black is end 1920's early 1930's, the PAA 2017. Is the uneven blade reveal a flaw or by design? I have no uneven blade exposure on mine....but all the other slants that "twist' the blade it is by design...on this one any uneven-ness might be from how the blade is pushed onto the pins...at any rate as long as I get a nice easy shave I could not care less. (10-26-2017, 07:46 AM)Starkicker Wrote: Is the uneven blade reveal a flaw or by design? My second slant has arrived and I've photographed the two heads side-by-side. There is a clear difference between the two and the newer razor shaves much more smoothly than the first one. Having seen them side-by-side and having tried the second razor, I now suspect that the first one is flawed and this has been raised with PAA via the vendor I purchased the razor from. Look like totally different razors. I just received the open comb slant and mine is certainly uneven. Looks like your black razor. I have read that this is normal, but I’m having a hard time understanding why that would be the case. I am going to purchase one of these, and I am leaning toward the black version. The OP’s razor seems flawed, and I wonder if this is a batch issue or unique to his. Has anyone more recently ordered one of the black razors and found it to be fine? My black is fine, as are my brone and bakelite. @Manning: that is indeed normal, and actually a good thing. This link does some explaining.